Do Field Service Managers Know What Customers Want? A recent paper from the Journal of Marketing Research reveals how context significantly influences how customers judge a price as acceptable or not. For instance, the researchers found that the best way to sell a $2,000 watch in a showcase was to place it next to a $12,000 watch. Saddled beside a $12,000 watch, the $2,000 product doesn’t seem so expensive, right? Context helps motivate conversion here. There are other ways to delight customers without bending over backwards to lower your prices. Competing on price alone adds unneeded stress to your service organization and will not give you the powerful edge you need to convert potential clients. Forget the limbo; stand up and take customer service action! Make it easy for customers to find your service organization (online and off), communicate with administrators, and complete transactions. Fleet companies benefit from GPS-equipped vehicles, which allows administrators to notify customers where their package or service vehicle is on the road. Administrators can pinpoint customer locations, and provide accurate pick up, delivery, or appointment arrival times. This added convenience sets GPS-equipped fleet companies apart from their competitors, too. Check out what our customers have to say! A highly knowledgeable administrator can make or break a purchase decision for a customer. Every member of your fleet team should be able to answer customer questions and concerns with confidence. Equip your administrators and drivers with the tools and resources they need to be optimally informed employees. Learn more about GPS tracking software education for employees here. Can customers depend on expert quality and professional communication every time they enlist your business? Consistency is an essential service quality in your industry. Field-based organizations with GPS-equipped vehicles can offer customers a consistent service experience by logging specific customer location details and preferences for future use. Administrators can customize the real-time and historic map views with customer landmarks and alerts, to provide drivers and service managers with consistent customer information. It bolsters a professional reputation, and impresses customers to return again and again. As our social identities reveal more and more of our lives offline, consumers become less impressed by perfect, polished brand presences. Businesses have started to represent themselves as real people who make mistakes (and apologize upfront). Transparency “is about being honest, open, and accountable,” says Mashable.com contributor Sharlyn Lauby. Fleet companies can encourage customer trust by being transparent. With GPS tracking technology, fleet administrators can share tracking information with customers through printable reports, and hold drivers accountable for customer complaints. Customers love to be rewarded for their loyalty to a service organizations with special coupons or deals on services. You can promote these specials through email campaigns or social media updates. 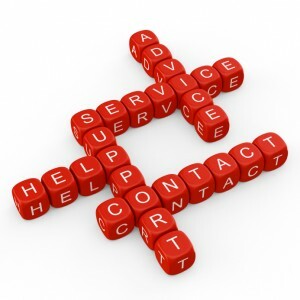 Check out our article to learn more about social media for service organizations! As the Marketing Research study suggests, outside factors like context come into play when customers decide to make a purchase. Bottom-of-the-barrel pricing does not guarantee customer conversion. Act on what your customers really want: convenient, knowledgeable, transparent, consistent service, with a deal or two offered for being awesome. Leave the limbo to your competitors. Save money and delight customers with GPS tracking technology! Click here for an instant quote for your service organization today!